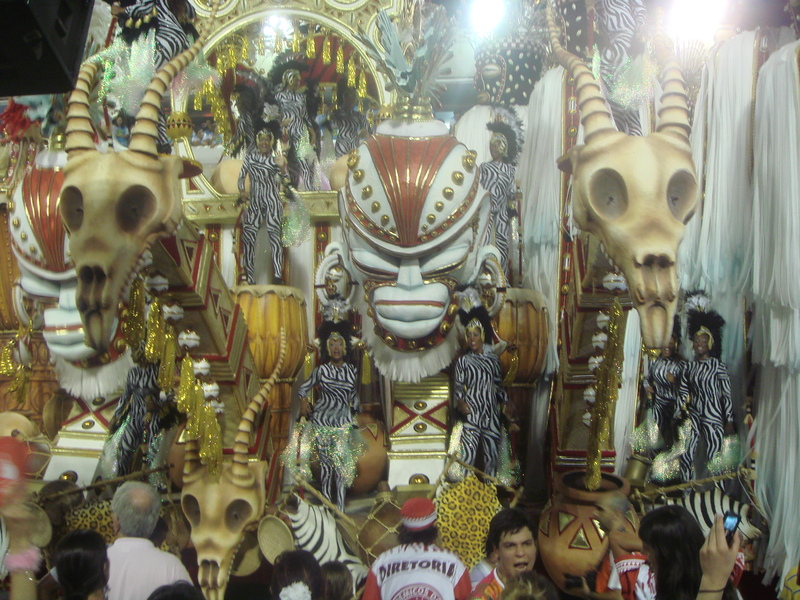 Since Segundo, the second and final night of the Special Samba Schools’ parade 40 judges have been locked in deliberation. Who will have the coveted first place? Who the second, third, fourth fifth and sixth? Who will drop down the hierarchical ladder and who will go up? The judging criteria are rigourous. Each school is assessed on 10 aspects of their performance; the bateria, the samba enreda, the visual and acoustic harmony, the flow and spirit of the parade, the spontaneity, passion and vigour of the movement and dance, the development and overall impression of the theme, the visual impact, suitability, diversity and good taste of the floats, props and costumes, how well the vanguard group set the tone for the overall performance, the grace, agility and co-ordination of the flag-bearers. And finally time, as each school must complete their parade through the sambadrome in no less than 65 and in no more than 85 minutes. Rio awaits the announcement with bated breath. And in homes all over the city, Carioca and tourists alike, make their own predictions.